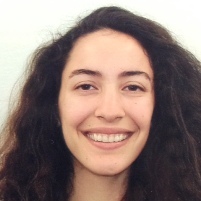 Ruth Epstein was appointed to the MARC program in July 2018. Her major is Biology with a minor in Honors. Ruth is currently conducting research in Dr. Elizabeth Water’s evolutionary biology laboratory. They are studying drought and salinity stress in Arabadobsis thalina and the Boechera species. 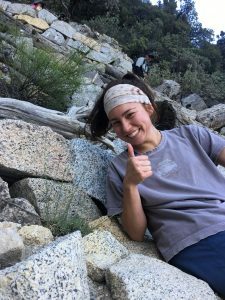 Following her undergraduate journey, Ruth would like to pursue a Ph.D in either evolutionary biology or environmental engineering. She hopes to research agriculture systems or endangered species while advocating for our precious planet. Faculty Mentor: Dr. Aaron Blashill. 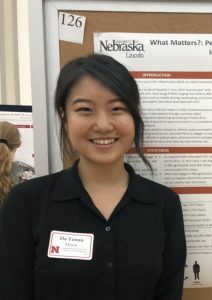 Da Yeoun (Hanna) Moon was appointed as a MARC scholar in September 2018. Her major is psychology, with minors in statistics and honors in interdisciplinary studies. She is currently working under Dr. Aaron Blashill in the Body Image, Sexuality, and Health (BISH) lab. Her current research examines neurocognition in children with eating disorders using data from the Adolescent Brain Cognitive Development (ABCD) study. Previously, she conducted research at the University of Nebraska-Lincoln as a part of the REU Minority Health Disparities Initiative (MHDII) Summer Research Program (SRP), where she examined the relationship between health perception and hepatitis C infection in rural Puerto Rico’s injection network using social network analysis. Her research interests include behavioral and psychological symptoms of neurodegenerative diseases and disparities in healthy aging. She plans on pursuing a Ph.D. in clinical neuroscience. Jade Johnson was appointed as a MARC scholar in September 2016. Her major is chemistry with a minor in mathematics. 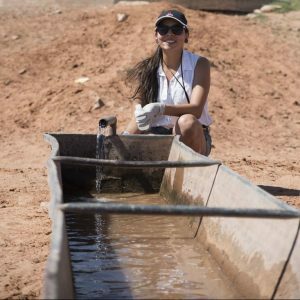 Summer 2016 and of 2017, she worked in Dr. Edward Rosenberg’s laboratory at the University of Montana on a two-part project; analyzing water samples from Navajo Nation to determine levels of toxic metal contamination and synthesizing materials to remediate and recover the metals. She is currently working with Dr. Eunha Hoh’s research group, investigating California condor plasma samples for organic pollutants. 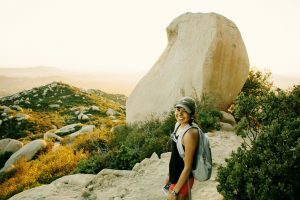 Following her undergraduate career, she plans to pursue her Ph.D. in environmental science so that she can continue conducting research to understand and address the effects of environmental pollution. Lorelay Mendoza was appointed as a MARC scholar in September 2017. 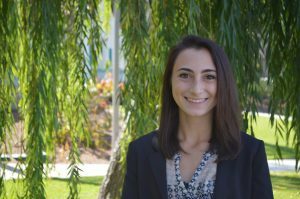 Her major is environmental engineering, and she is conducting research in the Water Innovation and Reuse Laboratory under Dr. Natalie Mladenov. Her current project involves using the optical properties of organic matter as a means to enumerate bacteria in urban watersheds. This work lays a foundation that leads to providing a way to monitor the pathogenic constituents of water in real time. After completing her undergraduate degree, Lorelay intends to pursue her Ph.D. in an engineering field that addresses and solves the challenges humans face with current global climate conditions and an increasing population. Anita Sanchez was appointed as a MARC scholar in September 2017. She is studying environmental engineering and is performing research in the Water Innovation and Reuse Laboratory with guidance from Dr. Natalie Mladenov. Her project focuses on membrane ultrafiltration, which is a technique used in certain water industries to create reusable water for non-potable purposes. By conducting a proper analysis of the organic matter components found in her synthetic wastewater source, she can develop ways to improve the membrane’s performance. Her research lays the groundwork for water industries to take a greater approach to understand the changes in dissolved organic matter components. Due to Anita’s passion for research, she plans to continue with her education by pursuing her Ph.D. in environmental engineering. With the skills and knowledge that she attains, she hopes to focus her career in academia so that she may share with others her approach to addressing the global challenges around creating sustainable water and reliable resources. 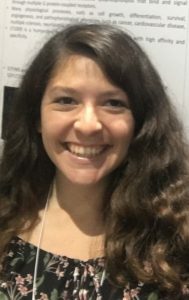 Nicole Tomassi became a MARC scholar in June 2017. Her major is Applied Mathematics with a minor in business management. She is working in The Luque Lab, part of the Viral Information Institute under Dr. Antoni Luque. Her current project involves modeling phage survival in limited bacterial growth conditions. Phages are a promising biomedical platform and can potentially change modern medicine in the future. This research combines mathematical techniques to answer a biological question. Nicole hopes to continue her education into a computational doctoral program in a biological setting and sees herself as a scholar for life— researching and teaching at a university in the future. 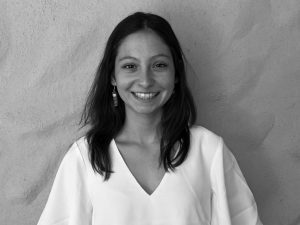 Sara Torres Robles was appointed as a MARC scholar in June 2017. Her major is biochemistry with a minor in Chinese. She is currently conducting research in the structural biochemistry laboratory of Dr. Tom Huxford. Her current research project involves studying the protein interactions of UNC-45 and Hsp83, which may have importance in the assembly of myosin thick filaments, and therefore, muscle function. Sara also participated in the 2015 Kyoto University Amgen Scholars Program, where she spent the summer in Kyoto, Japan, studying the effects of macromolecular crowding on the nucleocytoplasmic transport of proteins. For the summer of 2018, she is participating in the Biological SIGNALS Research Program at the University of Wisconsin – Madison, where she is researching essential divisome proteins that contribute to bacterial cell division. In the future, Sara aims to earn a Ph.D. in structural biology, studying how life works at the molecular level. After her Ph.D., she wants to become a research professor, focusing on scientific problems in women’s health and neglected tropical diseases. 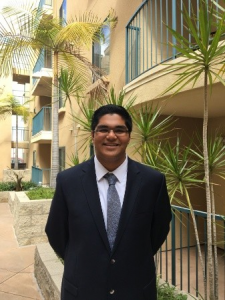 Viraj Upadhye was appointed as a MARC Scholar in June 2018. He is majoring in Biology with an Emphasis in Cellular Biology and minoring in Chemistry. He is currently conducting research in the Molecular Mechanisms of Disease Lab under Dr. Christal Sohl. His current research project involves studying the mechanistic properties of Isocitrate Dehydrogenase 1 (IDH1) by creating various mutations of the enzyme and assaying it kinetically. IDH1 is found in >80% of lower grade gliomas and secondary glioblastomas, understanding its catalytic activity could lead to a better understanding of its role in cancer. Viraj aims to earn a Ph.D. in molecular neurobiology to study the complex cellular networks within the brain and gain more understanding of the inner-workings the organ that makes us tick. After earning his Ph. D he hopes to continue research in the field of cancer biology and work on possible therapeutics to treat the disease. Viraj is a current recipient of a Summer Undergraduate Research Program and continues to conduct research in his lab through the summer and plans to present at various conferences throughout his junior and senior year. Citlayi Villaseñor was appointed as a MARC Scholar in June 2018. She is majoring in biochemistry and minoring in honors interdisciplinary studies. She is currently conducting research in the Structural Biochemistry Laboratory of Dr. Tom Huxford. Her research project involves the characterization of an anti-dsDNA antibody, 2C10. Due to its sequence homology to a previously studied metal binding antibody, we believe calcium increases the binding affinity of 2C10 to its antigen. Determining the binding mode of 2C10 to its antigen may provide valuable insight into the conservation of metal binding antibodies in evolution. Citlayi aims to earn a Ph.D. in structural biochemistry studying proteins that are relevant to inflammatory and neurodegenerative diseases. After earning her Ph.D. she hopes to continue researching in an environment with passionate individuals who are eager to find answers to fundamental biochemistry research questions that can be applied to improve the livelihood of our community.